WDM Multiplexer is a device that uses Wavelength Division Multiplexing (WDM) technology to combine different optical wavelengths from two or more optical fibers into just one optical fiber. This combining or coupling of the wavelengths can be very useful in increasing the bandwidth of a fiber optic system. WDM multiplexers are used in pairs: one at the beginning of the fiber to couple the inputs and one at the end of the fiber to decouple and then route the separated wavelengths into separate fibers. A WDM multiplexer can be thought of as an optical fiber highway; the highway can support a very large bandwidth, thus increasing the system’s capacity. Each channel in a WDM multiplexer is designed to transmit a specific optical wavelength. The multiplexer operates very much like a coupler at the beginning of the optical fiber and as a filter at the end of the optical fiber. 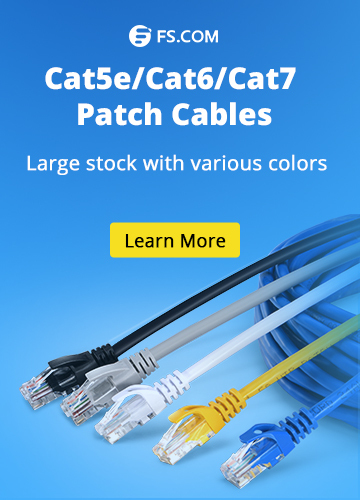 For example, an 8-channel multiplexer would have the ability to combine eight different channels or wavelengths from separate optical fibers onto one optical fiber. Again, to take advantage of the enormous bandwidth at the end of the optical fiber, another multiplexer (demultiplexer) will recover the separate wavelengths. The figure below shows a simple WDM system composed of multiple light sources, a WDM multiplexer or combiner that combines the wavelengths into one optical fiber, and a WDM demultiplexer or optical splitter that separates the wavelengths to their respective receivers. WDM multiplexers are available in a variety of sizes, but will most commonly be found with 2, 4, 8, 16, 32, and 64 channels configurations. The types of multiplexers are wideband (or crossband), narrowband, and dense. Wideband or crossband multiplexers (CWDM Multiplexer) are devices that combine a broad range of wavelengths, such as 1310 nm and 1550 nm. A narrowband multiplexer will combine multiple wavelengths with 1000 GHz channel spacing. A dense multiplexer combines wavelengths with 100 GHz channel spacing. Here shows a basic wideband or crossband WDM system. Narrowband WDM (DWDM) systems have channels spaced 1000 GHz, or approximately 8 nm, apart. Here is a figure that shows a basic narrowband WDM system. The industry standard on the Dense Wavelength Division Multiplexing Multiplexers (DWDM Multiplexer), as recommended by the International Telecommunications Union (ITU), is 100 GHz or approximately 0.8 nm channel spacing. 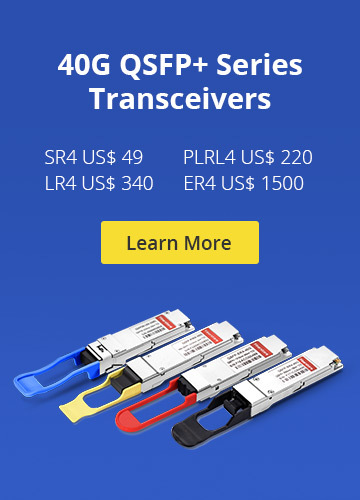 There are C-band, S-band, and L-band DWDM multiplexers. The C-band is the 1550 nm band which uses wavelengths from 1530 to 1565 nm. The S-band uses wavelengths from 1525 to 1538 nm, and the L-band uses wavelengths from 1570 to 1610 nm. The closer the channels are spaced together, the higher the number of channels that can be inserted into a band. Currently a spacing of 50 GHz is available (the 50 GHz DWDM multiplexers are generally with 64, 80, 88, 96 channels). It is important to note that as the spacing or the width of each channel decreases, the smaller the spectral width becomes. This is relevant because the wavelength must be stable or sustainable long enough not to drift into an adjacent channel. Besides having a very narrow spectral width, the laser transmitter cannot drift (it must out- put the same wavelength at all times). If the laser transmitter’s output wavelength changes even a few tenths of a nanometer, it could drift into the next channel and cause interference problems. There are different configurations of WDM multiplexers. Everything we have covered up to this point describes a unidirectional WDM system. The Unidirectional WDM Multiplexer is configured so that the multiplexer only connects to optical transmitters or receivers. In other words, it allows the light to travel in only one direction and provides only simplex communication over a single optical fiber. Therefore, full-duplex communications require two optical fibers. A WDM multiplexer that is designed to connect with both transmitters and receivers is called bidirectional (BiDi); in essence, the BiDi WDM Multiplexer is designed for optical transmission in both directions using only one optical fiber. Two channels will support one full-duplex communication link. Here is a figure that shows two BiDi WDM multiplexers communicating over a single optical fiber. As with any other device that is added to a fiber optic network, there are factors that must be considered. As losses are a factor that must be taken into account, you should remember that the greater the number of channels, the greater the insertion losses when using WDM multiplexers. Other specifications to keep in mind when using WDM multiplexers are isolation, PMD, and the spectral bandwidth. WDM multiplexers are widely used devices which provide a way to utilize the enormous bandwidth capacity of optical fiber without the expense of using the fastest laser transmitters and receivers. Just think about it: an 8-channel WDM system using directly modulated 2.5 Gbps laser transmitters carries twice as much data as a single indirectly modulated 10 Gbps laser transmitter. WDM systems allow designers to combine modest performance parts and create an ultra-performance system. WDM systems deliver the most bang for the buck! CWDM Multiplexer, DWDM Multiplexer, WDM System CWDM multiplexer, DWDM multiplexer, wavelength division multiplexing, WDM multiplexer. permalink.